Matilda turned 9 today! 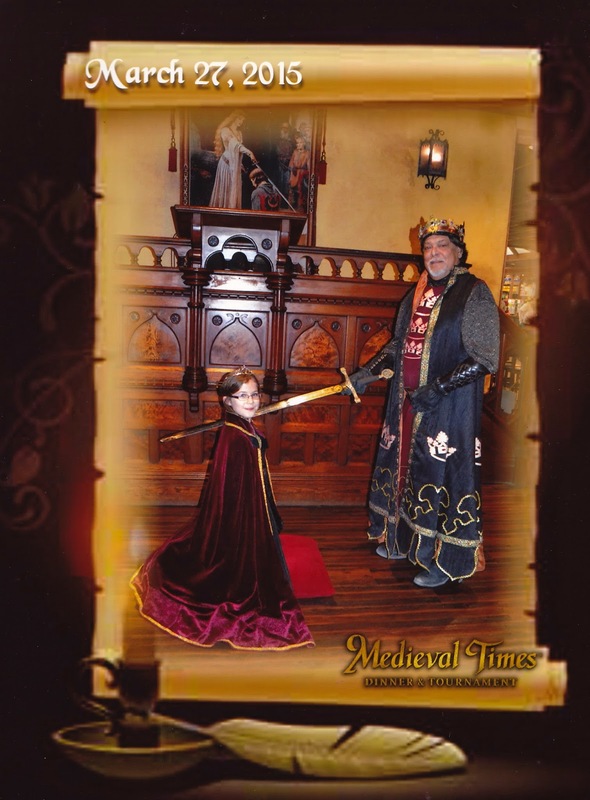 Rather than a party this year she decided on a visit to the Medieval era. She brought two friends along and we all thoroughly enjoyed our mediocre food and raucous cheering. Our knight won!! Since play acting violence and greasy poultry is not quite enough, we continued the birthday celebration with a sleep over. These lovely girls were actually arguing over whose turn it was to look up the next word in her new birthday dictionary. This girl of mine is awesome, with some mighty fine friends. It is midnight now and I still hear them whispering in bed. Nine years of parenting. Wow.